Welcome back to the blog! Today I’m going to give you my thoughts on the MAS Grey 0300S Plate Carrier from LBX Tactical and go through what I’m running in my set-up. 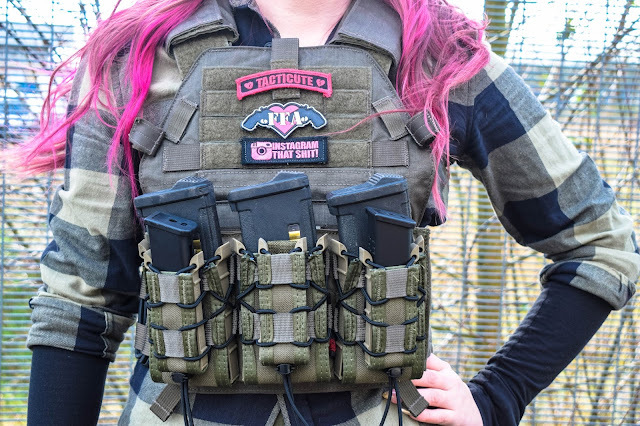 Whilst in the US last year, I had access to the Desert Unicorn armoury and when I was picking out my tactical gear for my very first Stateside airsoft game, I came across a Plate Carrier that was SO small I just had to try it on! 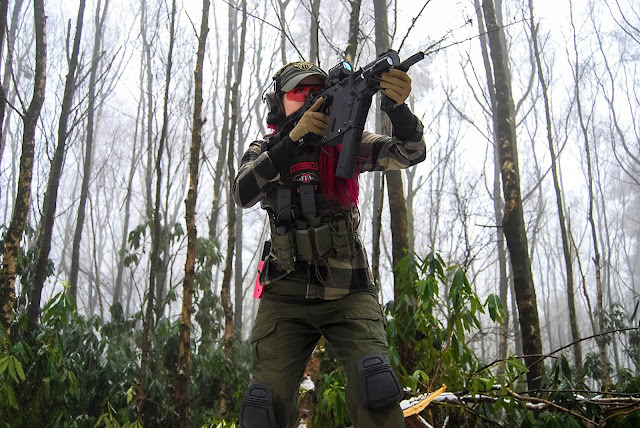 The PC was the Small Modular Plate Carrier (0300S) from LBX Tactical in a prototype Caiman camo, a year later I have my very own in MAS Grey and I’ve put it through its paces! LBX are a really well-known brand in the US, but aren’t as well over the pond here in the UK! So who are they? 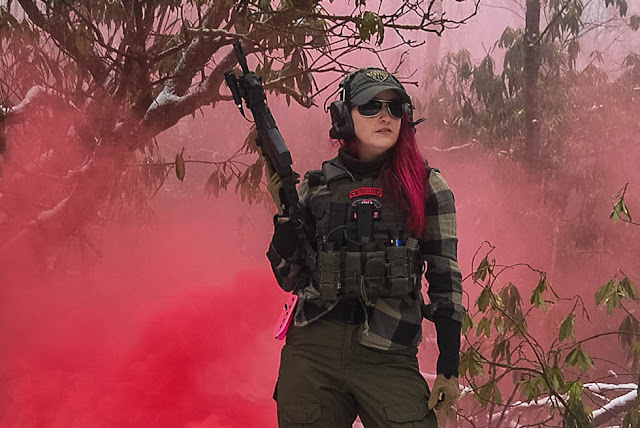 LBX are a tactical kit brand named after their parent company - London Bridge Trading (or LBT), who is a Virginia based tactical kit manufacturer. 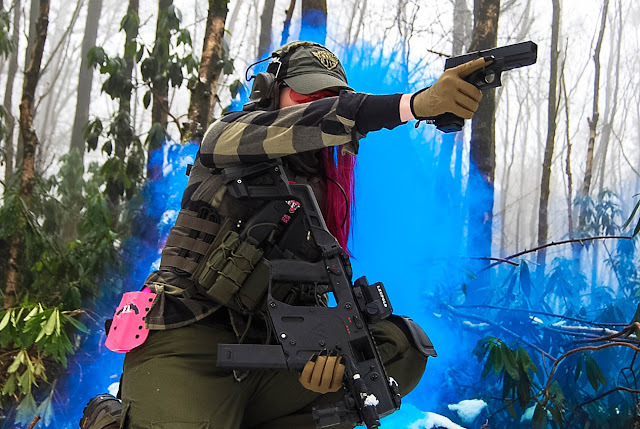 LBX means London Bridge "X" and the X in the name stands for the unknown variable, which represents the numerous applications that their kit can be utilised for in the tactical world. We’re going to look at the ‘Small Modular Plate Carrier’ from LBX, or the 0300S as it is more commonly known in the airsoft community. 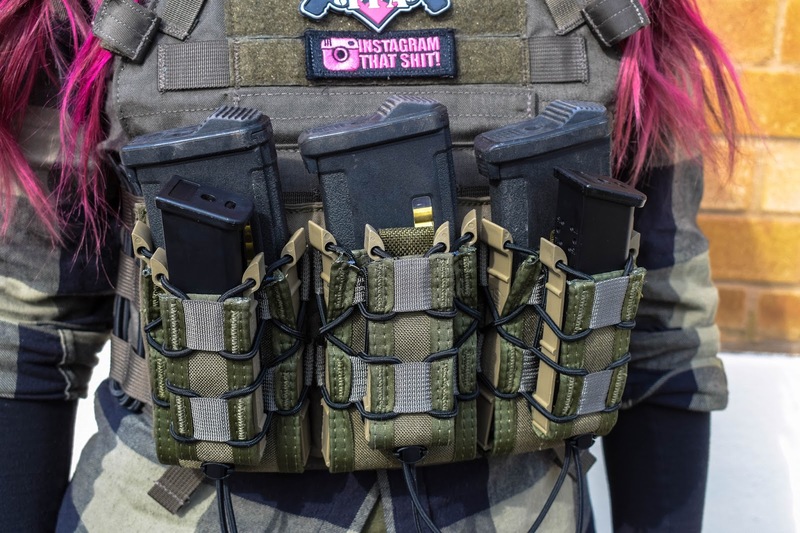 The 0300S is the compact model of LBX’s popular Modular Plate Carrier. As the name suggests the carrier has 360 modular webbing, on the front panel, back panel, and the cummerbund so players can customise their carrier on all sides to their needs/preferences. The top rows of webbing on the front panel also have hook Velcro so you can show off your favourite patches. Although it doesn’t come with plates as stock, the carrier can take 8x10 plates if players want to add a little bit of weight or help keep the shape when it isn’t in use. It features a heavy-duty drag handle which is probably more applicable in real-world application than airsoft but its there if you need to quickly drag your mates out of a firefight. It also has hydration/comms guides on the front and rear panels to keep hydration system and communication systems organised and of course to prevent any loose cables being snagged during use – after all, no one likes catching their lines on door handles! Let’s talk about the fit! The 0300S is fully adjustable - the cummerbund is adjustable between 32" and 46", and as my waist is 29” it fits snuggly but still gives me enough room to wear the carrier over a softshell or hoodie as I would in the winter. As the cummerbund also has Velcro closure it can be securely fastened. The carrier also features adjustable shoulder straps which means the operator can adjust where it sits on the torso. Both shoulder straps have padded strap coverings which makes them comfortable to wear for long periods of time even when the carrier is loaded up. So we know it’s adjustable, but how does it fit? This is the main selling point for me! I’ve found very few plate carriers that can comfortably fit my small frame and contour my waist and chest but the 0300S does the job. As I’ve said, the cummerbund fits my waist pretty snug but still leaves me enough room to be worn over a light jacket or hoodie. The overall size looks/feels right on my torso and without plates, it fits the contours of my body. The LBX 0300S comes in a fair few different colourways and camouflage patterns including MAS Grey, MultiCam, Coyote, Black and Wolf Grey. On the LBX website, it is available for $159.95, which works out at £114 to across the pond. It is worth mentioning however that us Brits do have to consider that shipping/customs charges are applicable when it reaches the UK. My LBX MAS Grey 0300S is now my chosen flannel and green loadout plate carrier because it fits the contours of my body so well! I haven’t added plates to the carrier yet but I feel this will be something I undertaking this year, to keep the shape of the carrier when it isn’t in use. I have accessorised mine with the Triple HSGI Taco Modular Panel in Ranger Green from the LBX – the RG compliments the MAS Grey really well. 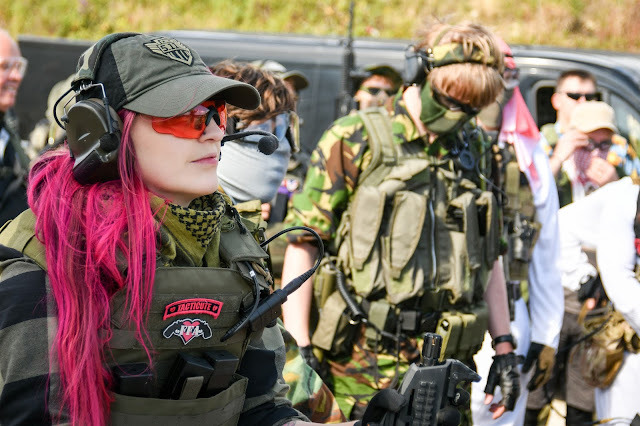 The 3 x M4 mag pouches and 3 x pistol mag pouches are more than enough for a game of CQB, which is my airsoft poison of choice. The only thing left to find for my set-up is a suitable back panel! If you have any suggestions, put them in the comments below, I love discovering new kit! All in all, I am really impressed with the 0300S from LBX. 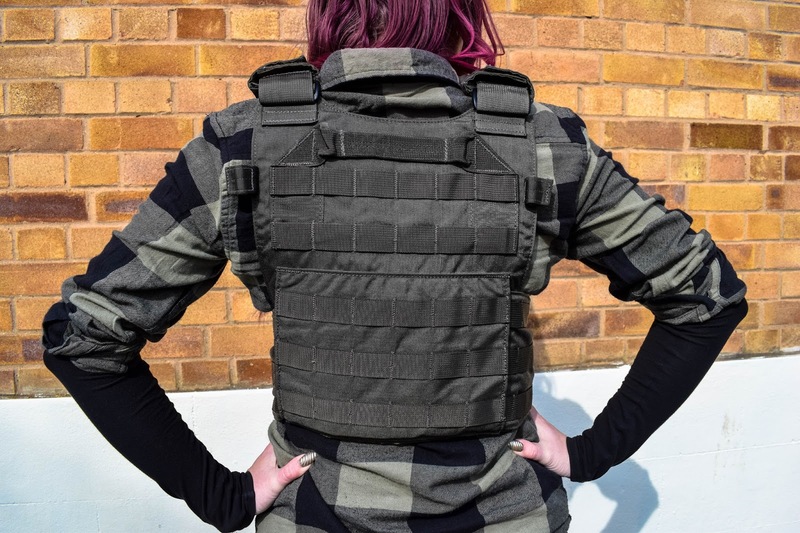 From the range of colours/camo, it’s available in which is relatively extensive for a smaller-sized carrier, the MilSpec materials that make it a durable piece of kit and its overall size tick the boxes in regards to what I look for in a plate carrier. I’m also so happy to see tactical kit brands catering to smaller-framed players. I think the price is also really reasonable for the quality and fit. I would also be really keen to see the LBX brand and products more readily available in the UK!